“The award is a great honor to me, which affirms my partnership with Wuhan,” said Simon. 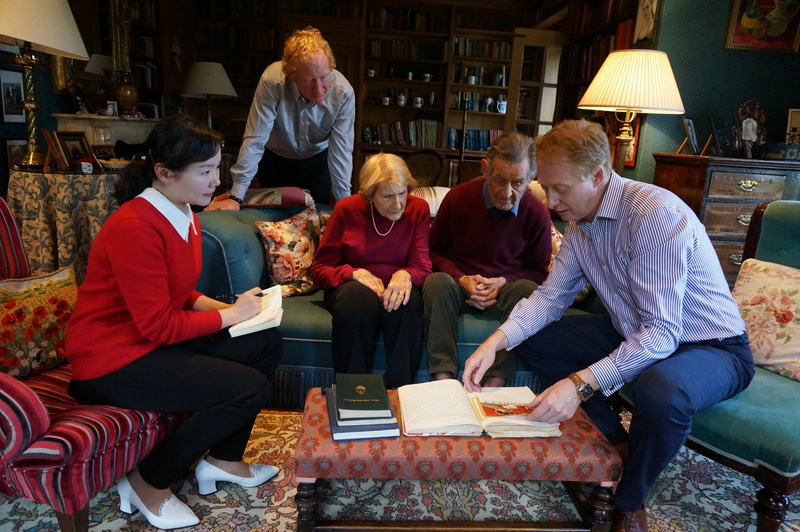 Simon’s family story spans six generations in China, from 1875 through to the present day, beginning in the time of the late Qing Dynasty and extending through the establishment of the Republic of China and the two 30-year periods of the New China. 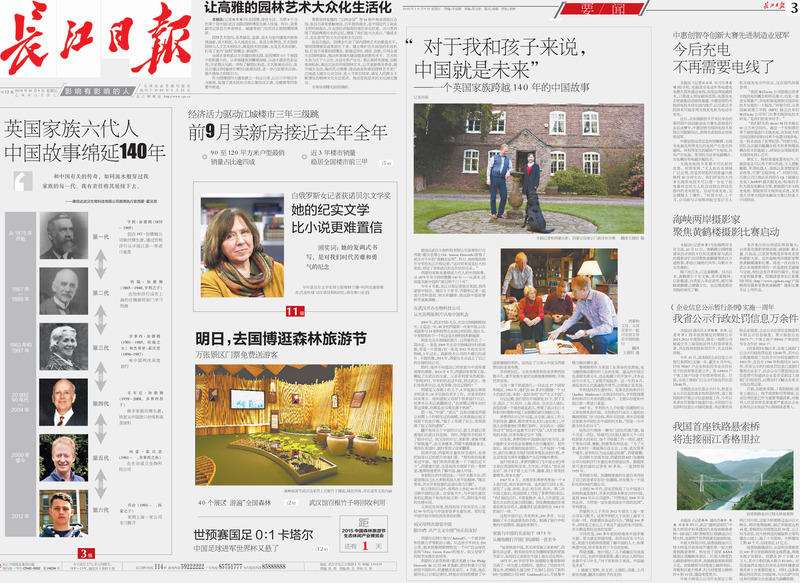 At the end of April 2015, Changjiang Daily’s reporter visited Simon and his family in the UK. Over the following five months, Simon and our reporter worked closely together to research, verify and translate the details of this unique Chinese story. Wuhan Biolake was founded in 2009. In the same year, 48-year-old Simon came to China for the first time. Based on his previous experience in founding and developing 14 technology companies, he regards biotechnology and new energy as the next trade opportunity between China and UK. Three years after first engagement with Wuhan, Simon was deeply impressed by the region’s progress illustrated in two photos taken in Biolake: One green field shot was taken prior to the establishment of Biolake in 2009, and the other taken in 2012. After three years, the second photo shows that the park is fully established, with many high-tech company buildings having been constructed. 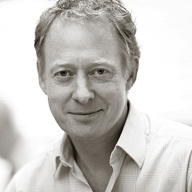 Without hesitation, Simon set up his own biotechnology company in Wuhan Biolake in 2013. Simon is the second youngest son in the family of five children. He was educated at a UK boarding school from the age of 8 before going on to Rugby School and the University of Reading, spending very little time at home. He knew his grandparents had left many journals recording their travels, but had not seen these documents for some years. “I remember seeing the diaries and videos when I was young but did not pay much attention to them,” he confessed. But at that moment, his father’s words about “China” and “Wuhan” urged Simon to climb to the top floor of the old house where his room was as a child. From under a bed, Simon pulled out a suitcase left by his grandparents. “The box was full of dust and filled with the relics of my grandparents,” he recalls. Opening grandmother’s journal about China, Simon found that the first few pages recorded his grandparents’ experiences in Wuhan. 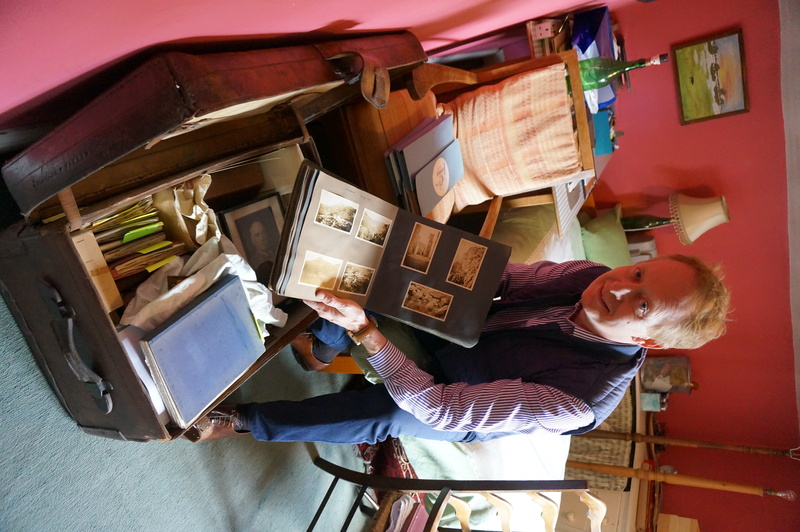 The journals, videos and family books represent important elements of Simon’s family heritage and he is loath to remove them from his father’s safe keeping. So Simon used his mobile phone to copy key details for later study and to this day he always pulls out the diaries when he visits his parents, discovering new details each time. When he comes to China and meets with his business partners, Simon often shares the pictures of his grandmother’s journal with them. 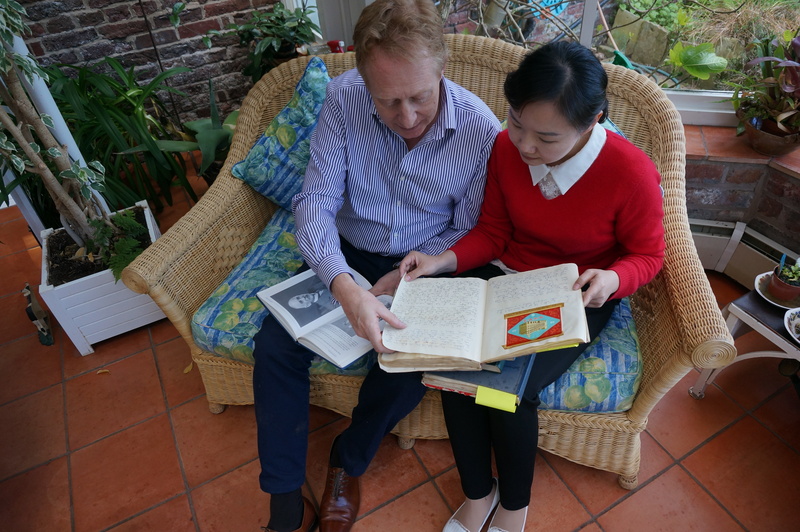 “My relationship with my Chinese partners always becomes much closer once they learn about my grandparents’ visits and our long commitment to China.” Simon soon realized how fortunate it is that his grandmother recorded her thoughts and observations in such detail. Those same observations now help Simon to better understand and integrate in China. 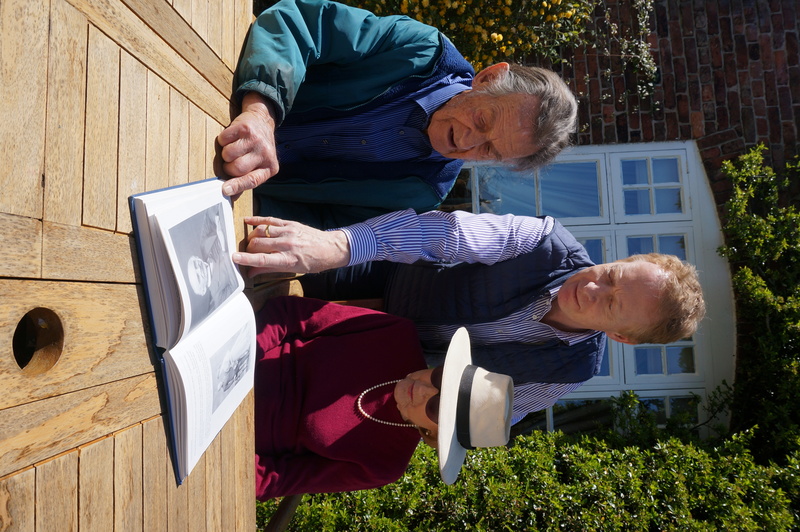 Simon’s grandparents’ journal recorded the two visits that they made to China in the 1960s. Researching the early China connections in a family book, it became clear that business dealings with China actually began much earlier – in the generation of Simon’s grandmother’s grandfather – in the Guangxu period of the Qing Dynasty. Simon’s father also reminded him that his grandmother’s nephew Anthony also had many business dealings with China in the 1980s and 1990s during the early stage of the reform of China’s market economy. Nowadays Simon lives in Ashwell, a town located between Cambridge and London. 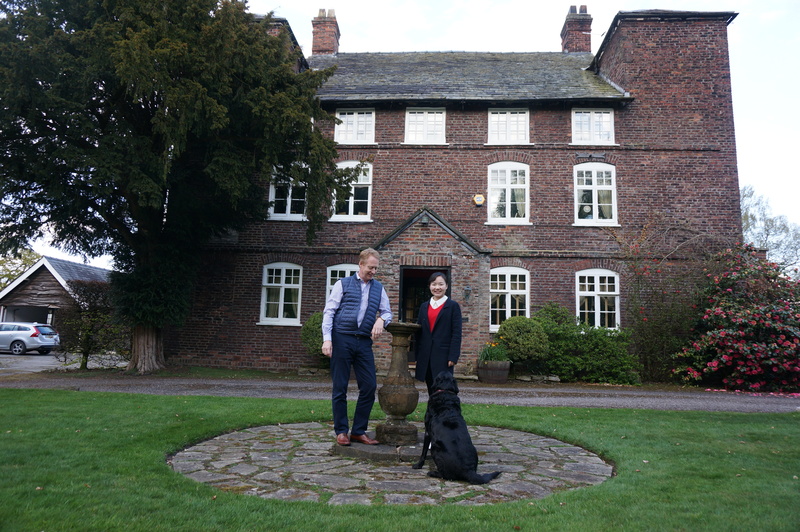 Driving 254 kilometers to the north, we find his childhood home at Free Green Farm near Manchester. Free Green, as it is known, is the ancestral home left by his grandparents and is now occupied by Simon’s father, Sir Philip Haworth, 88 years old and Simon’s mother Lady Haworth 89. Sir Philip and Lady Joan planned to visit Hangzhou, China recently and deeply regret that the visit was cancelled – thus ending their own aspirations to make direct links with China. At the end of April, when Simon was meeting the reporter from Changjiang Daily, he presented the cups made in Jingdezhen China as well as the tiger puppet brought back for him as a child by his grandparents. 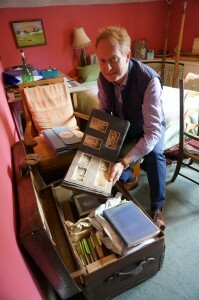 These items sit alongside the diaries in the family archive. 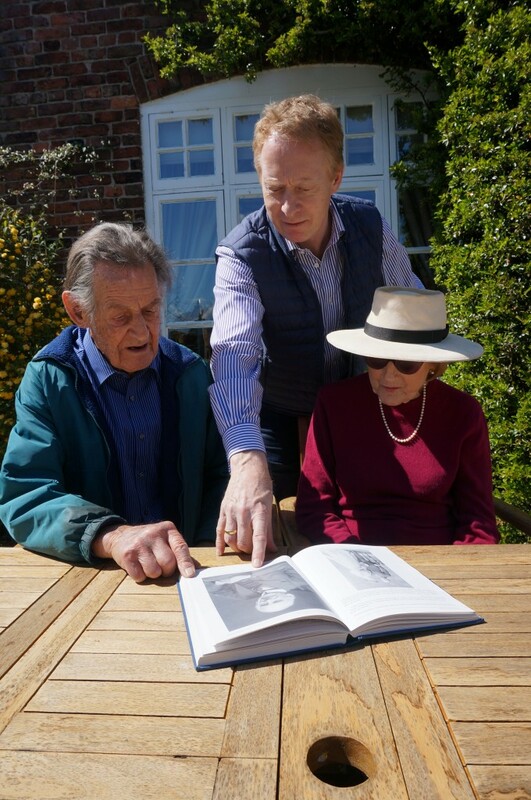 Sir Philip recalls how, shortly after his father Geoffrey married his mother Dorothy, they left Manchester where the family business originated, purchased Free Green Farm and began farming. Sir Philip’s parents loved to travel throughout their lives, visiting 27 countries and regions. In 1963, at the age of 63, they joined a tourist group of 12 people that came to the “communist China” that they had always been curious about. According to the journal records, the group spent 23 days in China, visiting Beijing, Wuhan, Guangzhou, Hangzhou, Shanghai and Nanjing. After entering China, the first city they visited was Wuhan. They were shown the Wuhan Yangtze River Bridge and the Wuhan Iron and Steel (Group) Corporation, which was the pride of Chinese industry at that time. 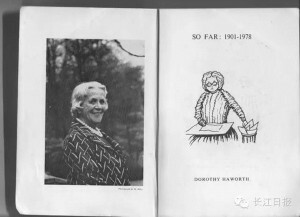 Lady Dorothy Haworth wrote in her journal that the flight attendants, customs staff, tour guides and the interpreter are all very professional and friendly. Walking in the street, they were always greeted warmly by smiling Chinese people. Dorothy writes that on International Labor Day in Beijing, “there was a festive atmosphere everywhere”. People were wearing beautiful clothes. Many kites were flying in the sky. 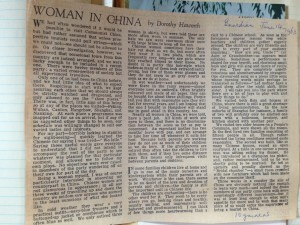 Before departure, Lady Haworth wrote a letter to the China International Travel Agency, advising them that she and her husband had great interests in agriculture. On arrival in China, and in addition to the conventional tourism activities, the travel agency arranged free agricultural excursions for Simon’s grandparents near every city they visited. 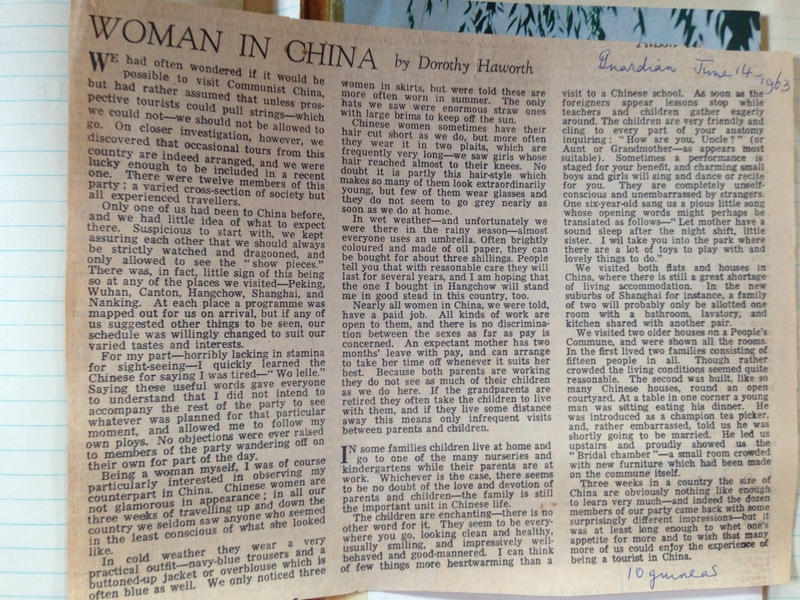 When she arrived back home in the UK, Lady Haworth wrote an article entitled “Chinese women” published in a British newspaper (The Guardian). In the article she wrote that the Chinese are “happy and friendly”, and that the Chinese children are “clean, healthy, usually smiling, and impressively well-behaved and good-mannered”. The journals were recorded in two handbooks and include more than 200 pages in total. 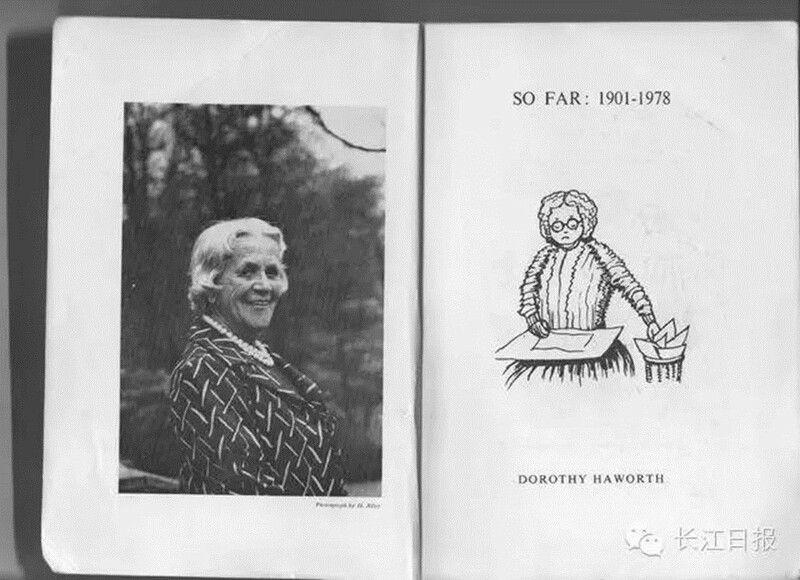 In each journal, there are many of Lady Haworth’s hand-drawn scenery illustrations of the trip. The journals are also filled with Chinese paper-cuts, postcards, stamps, invitations and even old cigarette packet labels depicting Chinese scenes, all collected during the trips. “My grandmother loved China very much. Actually she was influenced by her own father.” Simon told the reporter that several books from the Gaddum side of the family, the family where Simon’s grandmother came from, showed that his grandmother’s father had lived in Shanghai, China for over two years. In 1875, Henry Theodore Gaddum (‘HT’), at the age of 40, completed a business transformation in Manchester. HT ceased the agency business of spinning yarn and passed the cotton business to his brothers. Then he founded the new HT Gaddum & Co, focusing on silk trading. In Manchester, the birthplace of Britain’s Industrial Revolution, electricity continued to promote the development of the textile industry. At that time, China was in the first year of Guangxu in the late Qing Dynasty and was forced to open up to the outside world by gunboats. Meanwhile, the Westernization Movement was growing rapidly and industrial development was gaining momentum. In August of the same year, the Qing court sent the first formal diplomatic envoys to a foreign country: to the United Kingdom. HT chose the world-renowned company of Jardine Matheson as his business partner in China. For years, HT operated in partnership with Jardine Matheson and imported silk mainly from Jiangsu and Zhejiang provinces of China, as well as from India. 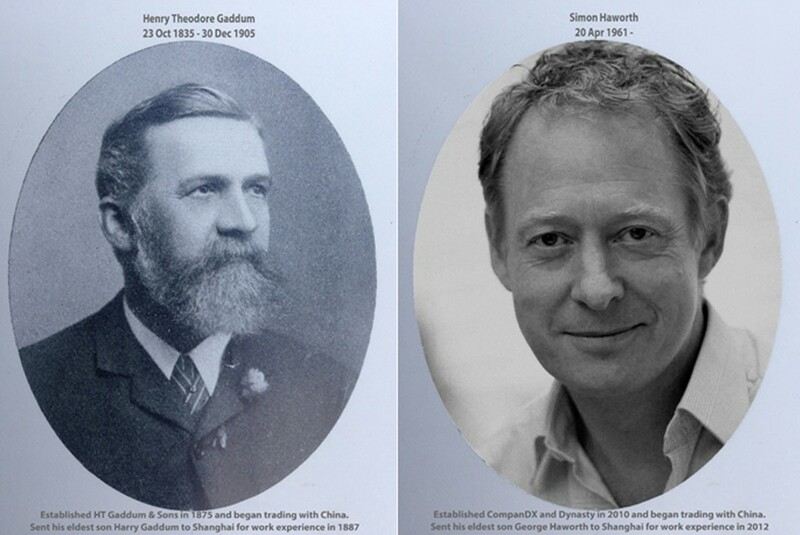 In 1887, Henry’s eldest son, Harry Gaddum, followed his father’s advice and came to China. Harry studied business as an Intern in Jardine Matheson’s silk trade department in Shanghai for two years. Many years later, Harry recalled this period of time in a family book describing his time in China as “the most wonderful days of my life”. 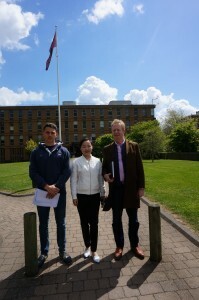 In Cambridge University Library, Simon found the original business letters between HT Gaddum & Co and Jardine Matheson. There are more than 30 original copies of such letters in the archive dating from the 1870s through to 1929. 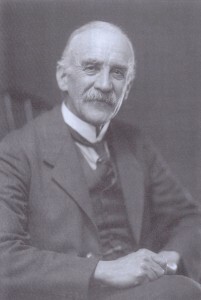 According to Sir Philip, the HT Gaddum China business was passed down to his cousin Anthony Gaddum and the business grew to become an international agency for yarn. In the 1990s, Anthony developed the Chinese silk business further, visiting China many times on business until he retired in 2004. “It’s a pity that Anthony passed away suddenly in 2008, otherwise he would have been delighted to tell us more about his experiences in China”, said Sir Philip. George, Simon’s eldest son, began his own engagement with China through an internship in Shanghai for three months in 2012, just as Harry did, sent by his own father, many years earlier. Simon is conscious of the obvious coincidence: “125 years apart, two fathers had exactly the same idea: to send their eldest son to China in the Far East. The motive is also the same: optimism about the development here”. The difference is, the reason for Harry coming to China over 100 years ago was to experience the culture and exoticism. In those days it was customary to do a tour to far-off lands. 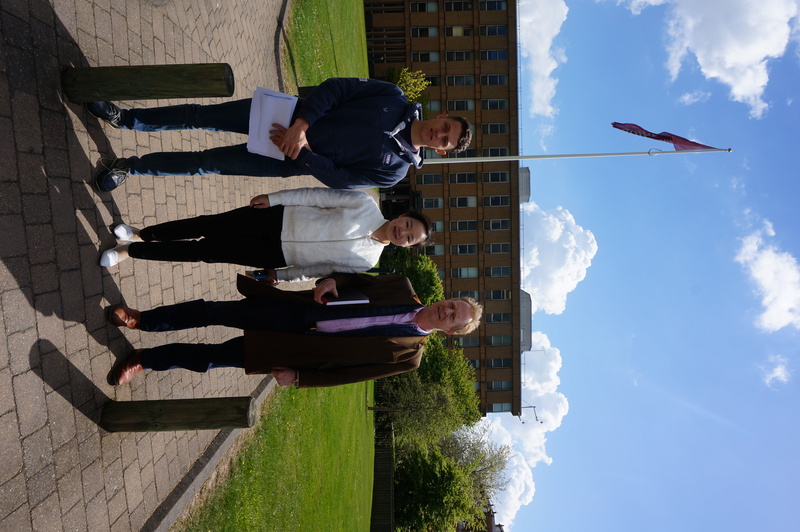 However, after doing an internship in China, Simon’s eldest son George recognizes how important it is for UK and European youngsters of George’s generation to understand the opportunity in China. Their futures will be brighter if they are familiar with China. For Simon the link continues. He is planning to send his second son William to China soon, and will bring his eldest daughter Katie to China in 2016. His youngest daughter Amara is already starting to learn Chinese and Simon is now building a major private equity fund investing Chinese capital in European science and technology. “For my children and me, China is the future,” concludes Simon.